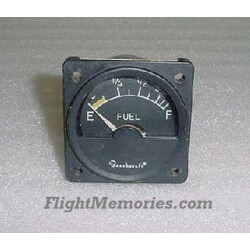 2 1/4" Beech Bonanza / Beech Baron Fuel Quantity Indicator. Manufactured by Hickok Electrical Instruments Co. P/N A-1158-5. Beech P/N 58-380051-5. 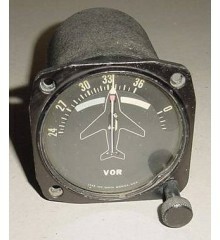 One of the two terminal lugs is missing from the back of the indicator. Sold for parts or display only, as is, no returns.